FastTrack working with Ferrovial Agroman! 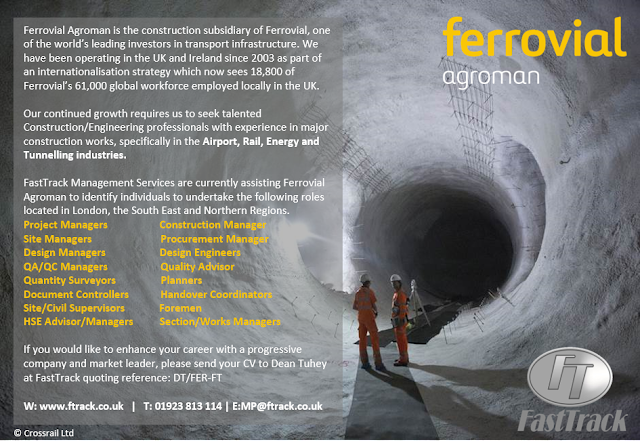 FastTrack Management Services Ltd's Major Projects division are excited to announce our latest recruitment campaign!! If you have experience in the Airport/Rail/Energy construction sector, please contact Sam Carew or Dean Tuhey via email at MP@ftrack.co.uk to discuss the below and other opportunities!